Innesskirk Global Consultants, accredited by Human Synergistics International use best practice tools from around the world including, but not limited to the Human Synergistics suite of tools. Innesskirk consultants were one of the first consultants to be accredited in the Management Impact tool from Human Synergistics, which measures the impact Managers have on their people and includes a program to improve management effectiveness. As independent consultants, Innesskirk is not limited to the use of Human Synergistics tools and uses other management diagnostic, behavioral and development tools where appropriate, like tools from the American Management Association. Innesskirk delivers through its Human Synergistic accredited consultants a unique mix providing a complete integrated HR diagnostic and management development system. People make the organization. So how do you get people to work together toward a better organization? How do you get everybody on the same page, at the same time, moving in the right direction? 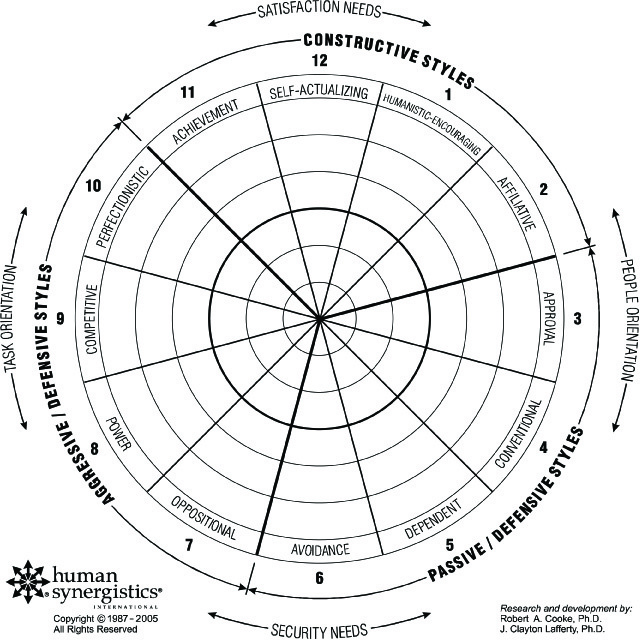 The Human Synergistic tools are able to measure individual, team or organizational effectiveness, the circumplex used in all the instruments provides a common and consistent language for feedback, analysis, and change initiation and allows for repeat measurement to determine the effectiveness of any change initiatives and subsequent progress made. If you want to know more, please download Innesskirk company profile. To find out more about our range of workshops download the Innesskirk workshop catalog. or look at the A-Z Course library, to book a course or to discuss your training needs further contact one of our offices or send us an email.